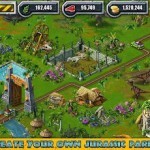 Based on the ground breaking film franchise “Jurassic Park,” experience your own thrilling interactive journey on the mysterious Isla Nublar!Here’s your chance to build your own Jurassic Park from the ground up, on land and in the sea! 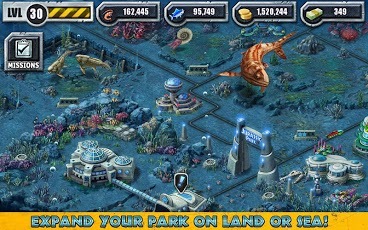 As a Park owner, nurture and grow various dinosaur species through the discovery of amber filled with dinosaur DNA. With help from your friends, turn the DNA into eggs, place them in your land or aquatic park and grow them until they reach adult size. 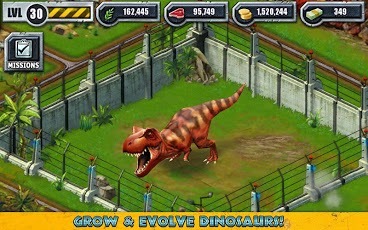 To evolve, your dinosaurs have to be fed plants or meat depending on their respective diets. As a Park manager, you’ll need to make sure your park is constantly fueled with enough goods to feed all the dinosaurs by managing the flow of imports at the port. 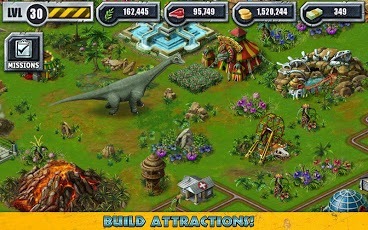 Finally, build a road for your visitors so they can go around and explore your creation.To entertain your guests and collect more funds, you will have to be creative and decorate your parks and build various attractions and buildings such as amusement centers, hotels, restaurants, and security offices. ‘Code Red’ mode allows you to maximize your gains further and also prevent the dinosaurs from escaping and wreaking havoc on the island. 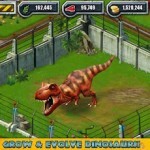 But to access that mode, you’ll have to grow at least 5 carnivores! 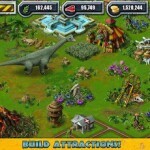 • 34 different dinosaur species to collect & grow. 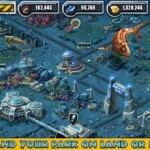 • 30 different sea creature species to collect & grow. Greetings Fellow Jurassic Park Builders! 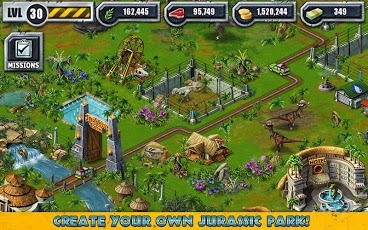 The Jurassic Park Builder team.